Paneer known as Indian cottage cheese is an extremely popular ingredient in Indian cuisine. Most cooking enthusiasts prefer Paneer in their dishes because of its versatile nature. Paneer tastes well with almost every curry and is also scrumptious in other forms such as kebabs, rolls, patties, etc. Well, apart from the stated, Paneer also has some amazing nutritional benefits. Inculcating Paneer in your daily diet can have some incredible health benefits. The most interesting thing about this particular cottage cheese is that you can also consume it raw! Paneer is known for its protein-rich composition. 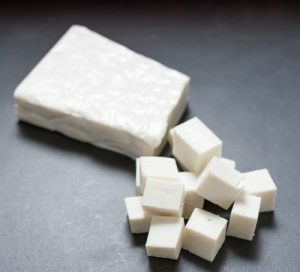 Additionally, paneer also consists of essential minerals like calcium and magnesium. If you are low on protein intake, even one raw piece of paneer can make up for it. The stated ingredient is also recommended for people who need a high protein intake. Other than having high components of protein, paneer also contains magnesium. Magnesium in paneer helps maintain blood sugar levels in the body. It is advisable to consume paneer in required quantities to improve heart health. With a considerate amount of phosphorous, consumption of paneer also helps in digestion. Magnesium in paneer has a laxative effect and coupled with phosphorous it helps in keeping the stomach hassles at bay. Paneer has some mind-boggling properties which help in treating deadly diseases. Paneer prevents the growth of cancer-causing cells in the body. Additionally, it also protects the body from various heart diseases. It is known that paneer reduces the risk of heart attack. Rich in Omega-3 fatty acids, paneer also helps in treating diabetes. Paneer has high amounts of B group vitamins which improve the quality of skin and hair. Along with vitamins, it has good levels of omega-3 fatty acids and omega-6 fatty acids which help your skin to rejuvenate. With complex compounds, paneer helps in boosting the immune system. Consumption of paneer will help you prevent health hassles like common cold, cough, fever etc. Lastly, paneer is the most commonly used ingredient in any Indian restaurant. Try out from the variety of paneer dishes and get all its health benefits. Next Spice up your Aloo Tikki Chaats with Chutney, Yogurt, Chole and More!